Learn about using essential oils to clean your home naturally. Curious about cleaning your home naturally with essential oils but don’t know where to start? Essential oils have been used for centuries by humans, from healing illnesses to cleaning to making perfumes, according to this history of essential oils. While it may seem like a fad that had just recently begun, the use of essential oils has been going on for a very, very long time! 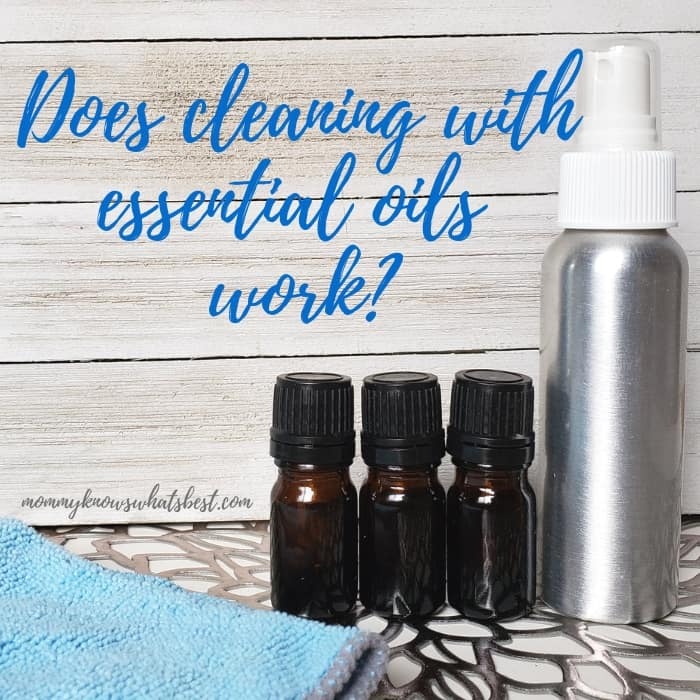 Does Cleaning with Essential Oils Work? You’ve probably heard about or have read about using essential oils to clean, but do they really work? Essential oils are made by either steaming or cold pressing parts of aromatic plants and can be antibacterial, antiviral, and antimicrobial. Oils in the citrus family also have the ability to cut through grease and grime. If they are pure, meaning the oils don’t have additives or preservatives, they will have the greatest effect. Used in even small amounts, essential oils can be very effective for cleaning your home! Of course, some work better than others, depending on what you’re trying to clean. As a bonus, many essential oils have scents that can relax you and boost immunity, along with a number of other beneficial effects. Can You Only Use Essential Oils to Clean? 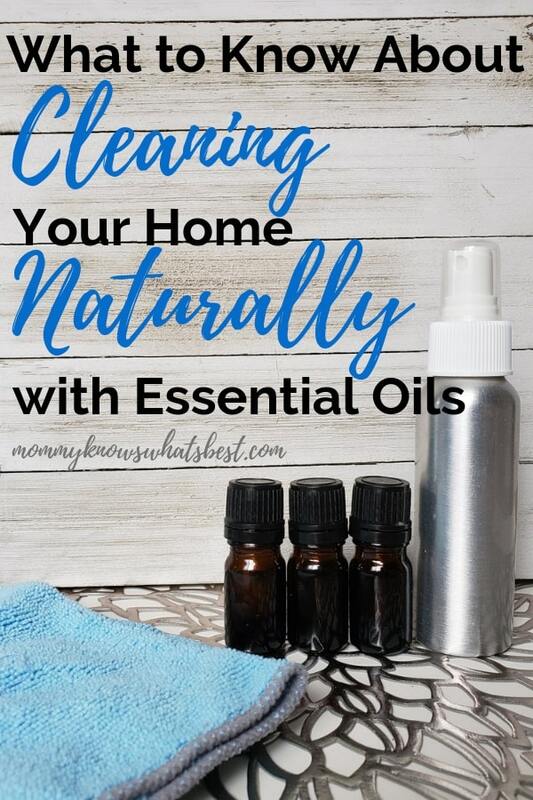 When cleaning your home naturally, using essential oils will do the trick, but most of the time you need to use other natural products along with the essential oils. Essential oils, in a pure, concentrated form, are very potent, so a little goes a long way. 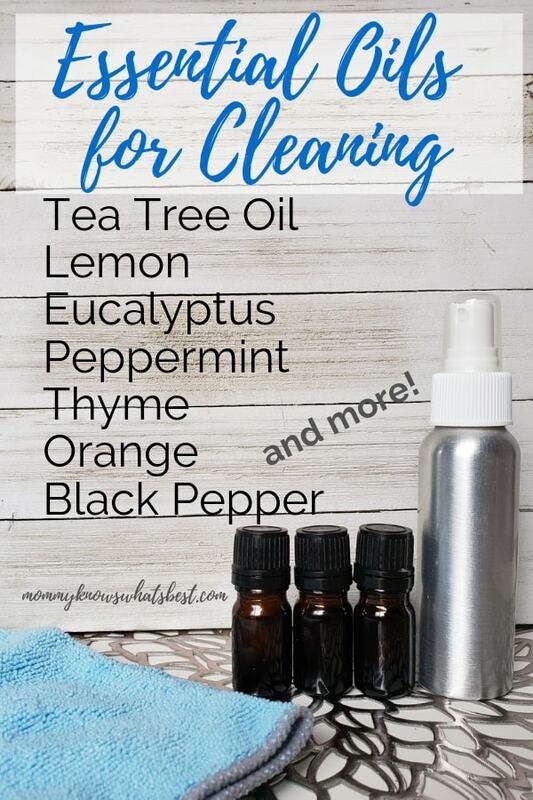 The essential oils are usually diluted with other ingredients or used in addition with other ingredients for the best possible cleaning or deodorizing power. This post contains affiliate links, from which I may earn a commission at no extra cost to you! You’ll find that many natural cleaning recipes include these ingredients, as they are known for their cleaning and deodorizing properties without being harsh or full of man-made chemicals. When cleaning your home, you want essential oils that have antibacterial, antiviral, and deodorizing properties. You also want oils that are 100% pure, meaning that they don’t contain any additives or preservatives. This list can be found in a free download, an Essential Oils for Beginners E-Book from Simply Earth. Of course, you don’t want to just use random oils or mix random oils together. It’s best to find out which oils blend well together, which you can see in these descriptions of individual essential oils. Not all essential oils are safe to use all the time. While many oils can be skin irritants, there are others that shouldn’t be used around kids, during pregnancy, around pets, or for other reasons. There is a very helpful chart of precautions to take in the Essential Oils for Beginners E-Book. When possible, use glass bottles to store cleaning solutions, as essential oils can break down plastic. Cleaning solutions made with essential oils should be kept in dark bottles out of the sun, to protect the oils from UV rays. Cleaning solutions should be shaken before use, to mix the oils with water or other liquids. Wear gloves when cleaning with essential oils, to avoid skin irritation. Be mindful of strong scents. While you may enjoy the scent of some oils, others in your family might be sensitive to them. Test surfaces before use. Use caution when cleaning porous surfaces or upholstery. So what is Simply Earth? 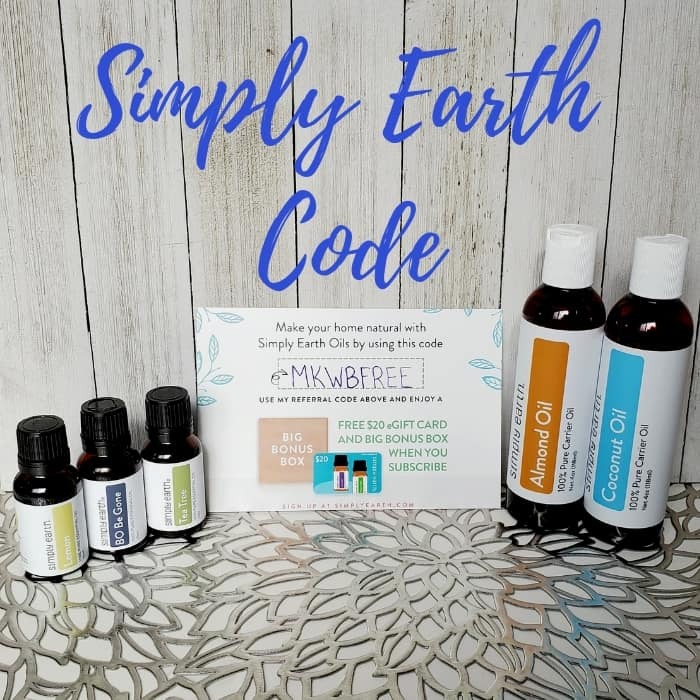 Simply Earth was started by a family who wanted to use more natural products and essential oils in their life, but didn’t want to have to go to parties to get oils or use natural products that didn’t work. Simply Earth made it their mission to sell only 100% pure essential oils. They make sure their essential oils are as high quality as possible and don’t contain any additives or preservatives. To make sure each plant reaches its potential, we carefully and ethically choose a region where it will thrive. Then we work with our farmers. When our plants have reached maturity, they are harvested safely and fairly. From there we collect their natural essential oils through either cold-pressing or steam-distillation. Every batch is then tested to ensure 100% purity. Once the essential oils have gone through testing, they are bottled right in their own commercial kitchen. When you shop Simply Earth, 13% of their profits go to help fight human trafficking. They want to make a difference by helping those who have been abused. You can see the organizations they support here. 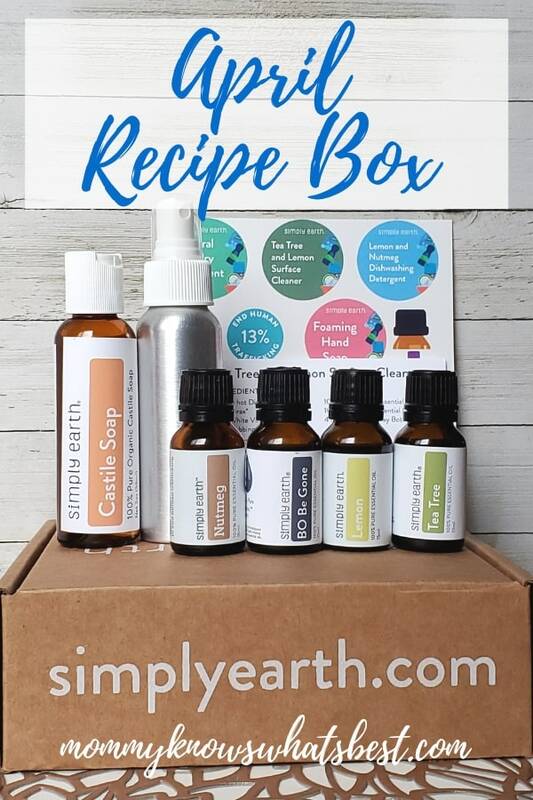 Every month, in their essential recipe box, Simply Earth sends out 6 natural recipes, 4 bottles of essential oils, natural ingredients to use in the recipes, and a fun extra or two. This is the April 2019 Recipe Box: Home Care. Not ready for the box? You can also find some recipes in the descriptions of individual essential oils. 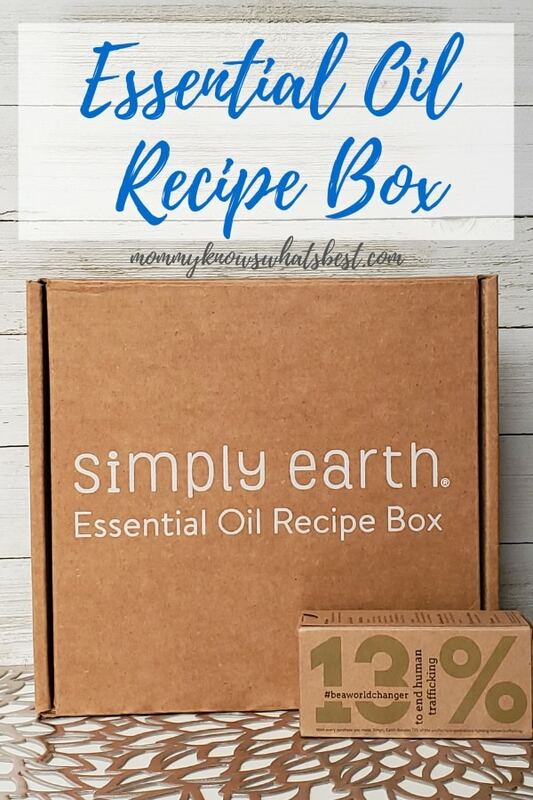 Simply Earth sent me the April Recipe Box along with the Bonus Box to Review. For a small box, it was PACKED with value! 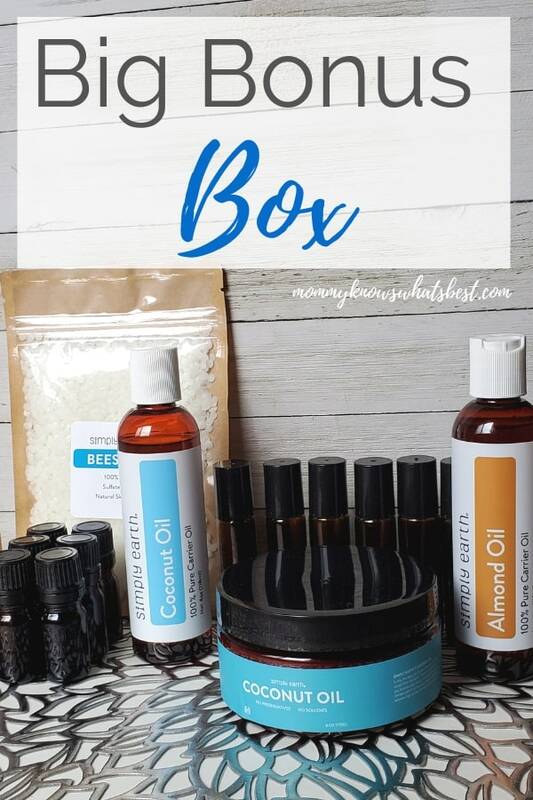 If bought separately, the oils themselves would be $40+, but for the oils, 6 recipes, and extras, the price of the box is only $39. That’s a great deal, especially since the recipes could be made multiple times! I excited that I could make one of the recipes right away without needing any other ingredients. I made the Laundry Stain Remover Roll On Recipe. It was super easy to make and smells amazing! I’ll be making the other recipes as well and trying them out on my Instagram. 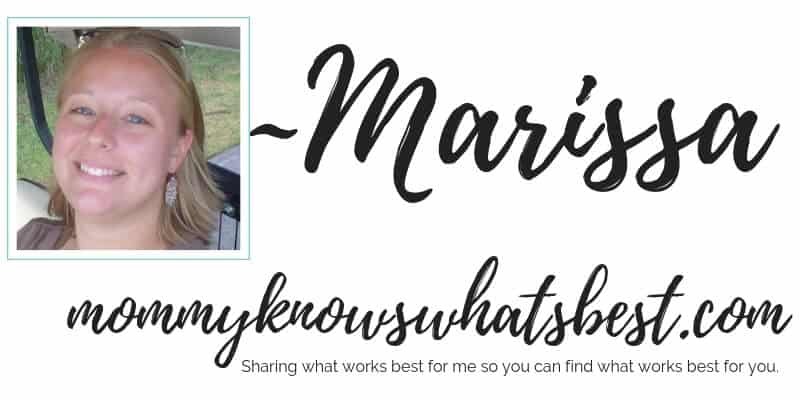 Be sure to follow me there to see the results! Use code MKWBFREE to get a free $20 gift card with your purchase! When you subscribe for the first time using my code, you will receive a $20 gift card with your initial subscription box and bonus box. You can then use the $20 gift card on your future purchase or next box! Along with your first box, you also get the BIG BONUS BOX. It contains worth $50 of supplies: hard oil, spray bottles, roller bottles, and more! You automatically get this Big Bonus Box shipped to you with every 6 boxes. Would You Try Essential Oils to Clean Your Home Naturally? Would you add essential oils to your house cleaning routine? Do you already use essential oils? What are your favorites to use? Leave me a comment below! I love cleaning with essential oils! They are so helpful in making the house smell fresh without the toxicity! I need to try more blends, so this is very helpful to me. Thank you for the great ideas!